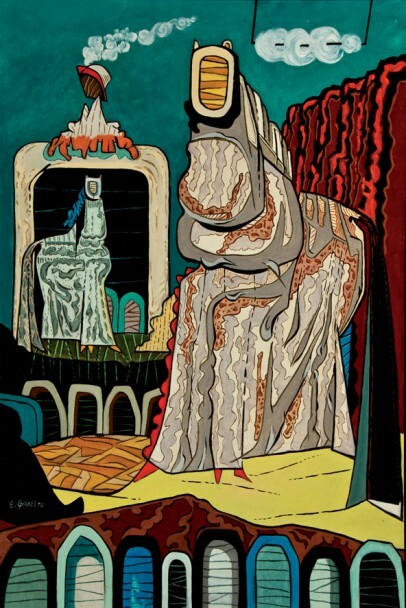 Eugenio Fernández Granell left a legacy as the last Spanish Surrealist artist. His Marxism and times spent in exile with fellow artists are all part of the stories behind his work. 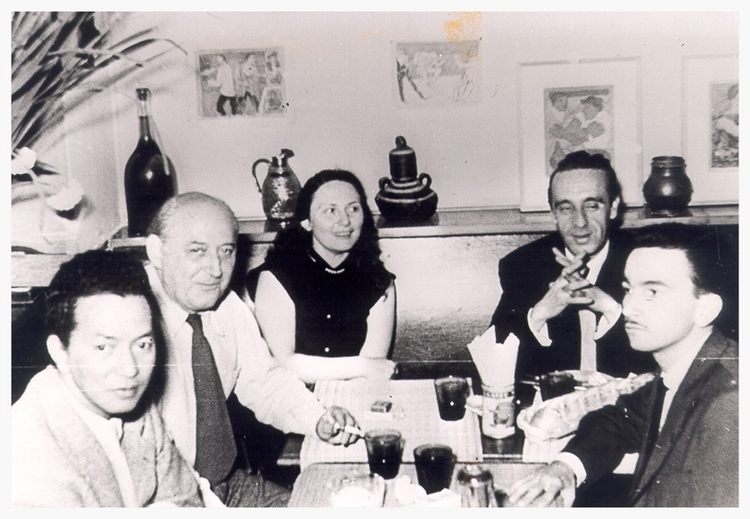 Granell's friends included Wifredo Lam as well as many other Spanish, Latino and South American artists. 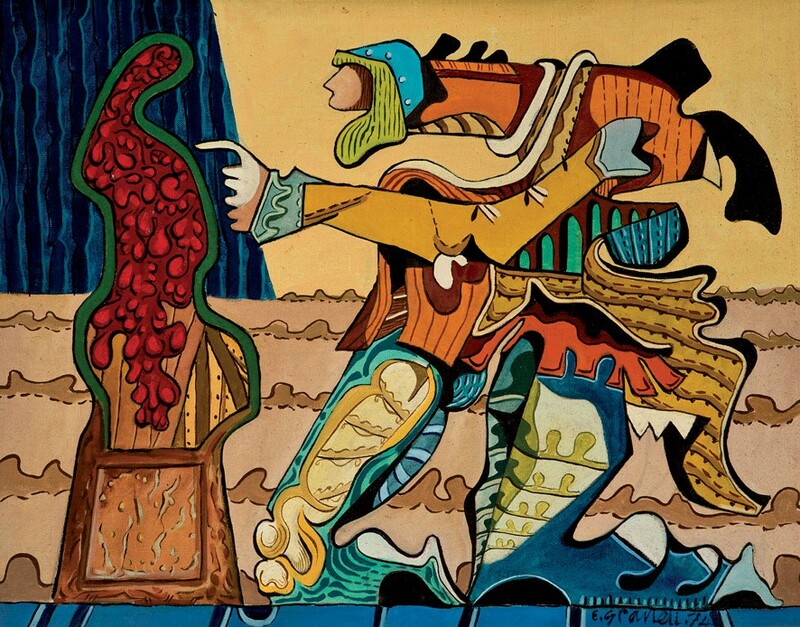 In 1952, Granell travelled to New York with fellow Spanish artist José Vela Zanetti, who was also in exile from Spain. The pair had met in the Dominican Republic. 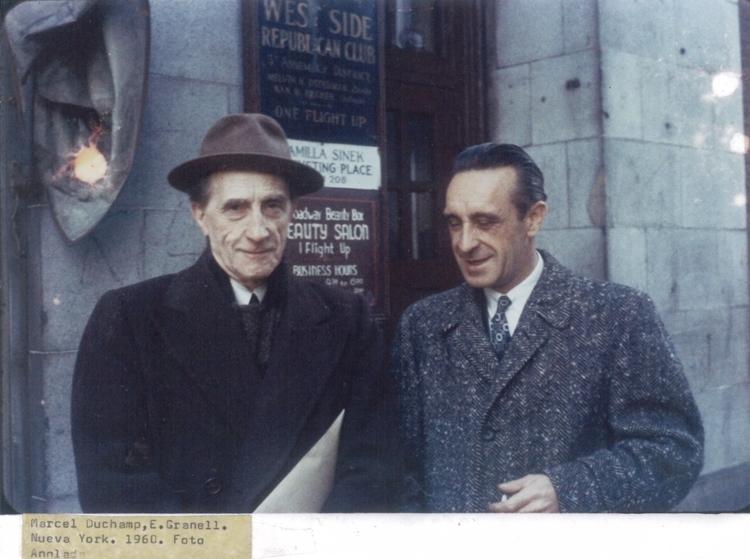 Zanetti introduced Granell to Marcel Duchamp. In New York, Granell's work became immersed in the world of Surrealism, his work exhibited alongside the works of Duchamp, Max Ernst and René Magritte. 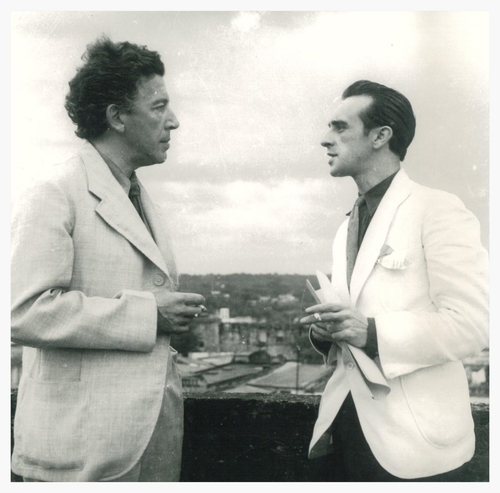 In 1959, André Breton curated The Homage to Surrealism Exhibition to celebrate the Fortieth Anniversary of Surrealism. The exhibition focused on the work of Salvador Dalí, Joan Miró as well as Eugenio Granell. Although he found success on other shores, Granell paid homage to his Spanish homeland with an essay of his study of Picasso's Guernica, which earned him his PhD from the New Scholl for Social Research. In 1939, before Granell had ever picked up a paintbrush, he went into exile. He came to France, where he eventually escaped camps for Paris. His associations with Marxism would mean, throughout his career, he was on the move, in a constant state of exile. In 1940, Granell came to the Dominican Republic. It was not until 1941 that he began to paint. By 1942 his work was part of the Private Exhibit of Modern Spanish Painters. However, it was his solo exhibition in 1943, which marked him out as a Surrealist artist as Granell presented 44 works of Surrealism. The two works featured will be included in Duran Subastas' auction from July 19 to 20, 2017. Check out the full catalog here.